Top producer James Allan, who has been active in the Westside real estate market for more than 20 years, continues to earn the respect and trust of clients and colleagues alike while earning top awards for his distinguished sales record and superlative customer service.A member of Coldwell Banker’s prestigious President’s Elite, an honor reserved for the top 2 percent of the company’s sales force nationwide, James has also been voted one of Los Angeles’ “super agents” by Los Angeles Magazine. Also, for the past eight consecutive years, he has ranked among the top 10 in production for Marina Del Rey and Venice and top 1% Nationwide. 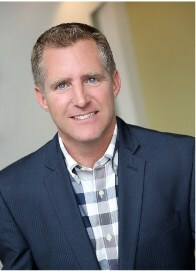 Originally from Bermuda where he worked for his family’s property development firm, James was educated in London before relocating to Southern California. His easy rapport with buyers and sellers from the United States as well as overseas, combined with his proven negotiation and marketing skills, has created an extensive network of repeat clients who eagerly refer him to their friends, family, and business associates. Representing a diverse clientele, from Fortune 500 executives to renowned entertainers and Oscar winners, James specializes in the marketing and sale of a wide range of properties that includes premier beachfront homes to luxury estates. His total sales volume to date exceeds $200 million, including the sale of an $8 million-dollar estate in Beverly Hills to the Prince of Morocco. Committed to providing the highest caliber of comprehensive service, James stays abreast of the latest market trends and most innovative real estate technology to ensure maximum results for his clients. Backed by the tremendous resources of Coldwell Banker, James Allan is a consummate professional who looks forward to assisting you with all of your real estate needs.